San Francisco, CA – The National Legal Aid and Defender Association (NLADA) has selected San Francisco Public Defender Jeff Adachi as its 2012 Reginald Heber Smith Award winner. “The Reggie” celebrates the outstanding achievements and dedicated services of an attorney for contributions made while employed by an organization providing civil legal services or indigent defense services. Adachi, who is California’s only elected public defender, will accept the award Dec. 7 at NLADA’s 2012 Annual Conference in Chicago. The conference marks the beginning of a yearlong celebration of the 50th anniversary of the U.S. Supreme Court ruling Gideon v. Wainwright. The landmark decision established that poor people accused of crimes are entitled to attorneys. 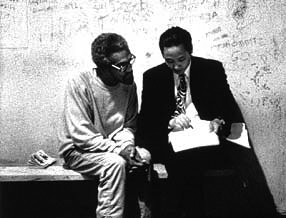 “In the quest to protect the rights of the poor and disenfranchised, Jeff Adachi’s work in public defense stands as a unique testament to the power of community engagement and the ability of a defender to act as a powerful agent of social change while still providing exemplary trial defense,” said NLADA President and CEO Jo-Ann Wallace. 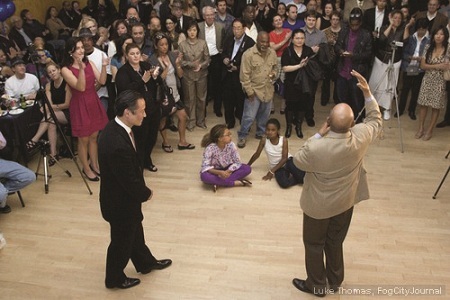 NLADA officials noted that, since his election in 2002, Adachi has turned the San Francisco Public Defender’s Office into a top notch criminal defense firm that boasts a 50 percent win rate of all cases taken to trial. Under his leadership, the office has developed an aggressive training program by which its 92 attorneys and 67 support staff keep their skills sharp and current. As a result, those who cannot afford an attorney are provided competent, vigorous legal representation. “Jeff Adachi’s work embodies the concept of ‘speaking truth to power;’ remaining steadfast in his commitment and mission while utilizing innovative means to share the cold realities his clients face. In this way, Mr. Adachi’s work does not just alter the lives of persons with limited means in San Francisco, but fuels the move for equal justice across the nation,” Wallace said. Wallace added that Adachi has significantly advanced the cause of equal justice for both individuals and communities outside the courtroom as well. In 1998, Adachi founded the Clean Slate program, a free service that offers people with old convictions a chance to clear their records, which has led thousands of people over the past decade to find vocational, educational and housing opportunities. He has taken a holistic approach to reducing recidivism by providing a panoply of innovative programs to clients such as drug court, behavioral health court, a full service juvenile division and on-site social workers. Adachi also co-founded the Reentry Council, which helps coordinate services and assistance to individuals recently released from prison. In 2011, Adachi exposed violations of constitutional rights by police who were entering residential hotel rooms without warrants. The revelations resulted in an ongoing FBI investigation, dismissal of nearly 100 criminal cases, the dissolution of a troubled undercover unit, and nearly a dozen problem police officers being taken off the streets. 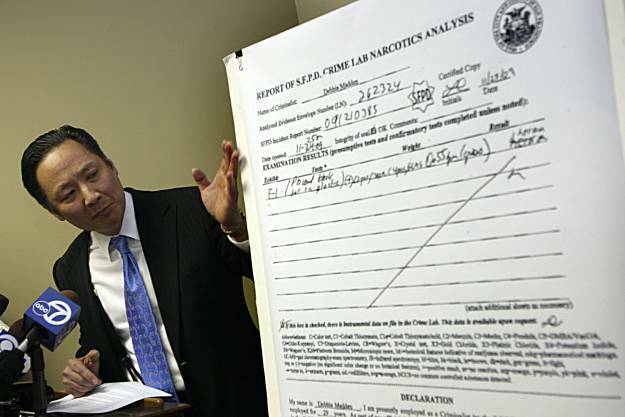 He has also advocated reforming the police department’s crime lab, which came under fire in 2010 when a senior lab technician removed drugs from the lab for personal use. Adachi has also worked to educate the public on the importance of constitutional rights and the presumption of innocence. In 2009, Adachi produced a television public service announcement, “Innocent Until Proven Guilty,” which takes aim at racial profiling while illustrating for viewers the presumption of innocence. Adachi and his office have hosted the city’s annual Justice Summit for the past 10 years. The televised one-day event has served to educate the public on important developments in criminal and juvenile justice. Adachi also founded the MAGIC programs, which support youth and family agencies in Bayview Hunters Point and the Western Addition neighborhoods. 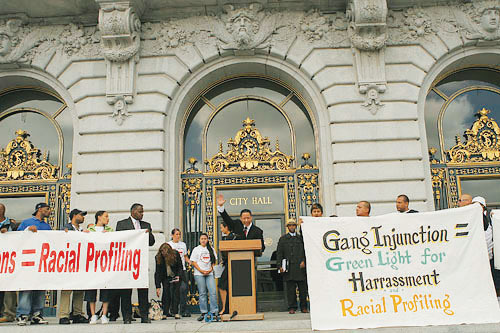 In 2009, Adachi successfully challenged budget cuts to his office by refusing to take on new cases, rallying the public in front of San Francisco City Hall, writing numerous op-eds, and lobbying the mayor and the San Francisco Board of Supervisors. Cuts to the office’s budget were eventually reversed. NLADA officials also cited Adachi’s outspoken defense of civil rights for San Franciscans who do not have a strong voice in the public sphere. He has vigorously opposed unfair laws that criminalize homelessness and has successfully defended individuals who were barred from their neighborhoods due to being unfairly placed on gang injunction lists. Wonderful. Twittered and posted to my Facebook page.